Why Do Birds Sing Together? Science News Online has an article about a study conducted on birds and their singing patterns. Often, birds sing so well together that they sound as one. They even preform different parts and movements. Did Snails Hitch Round-The-World Rides On Birds? Researchers speculate that birds were the method of dispersal for Balea snails, natives of Europe, found in the South Pacific. 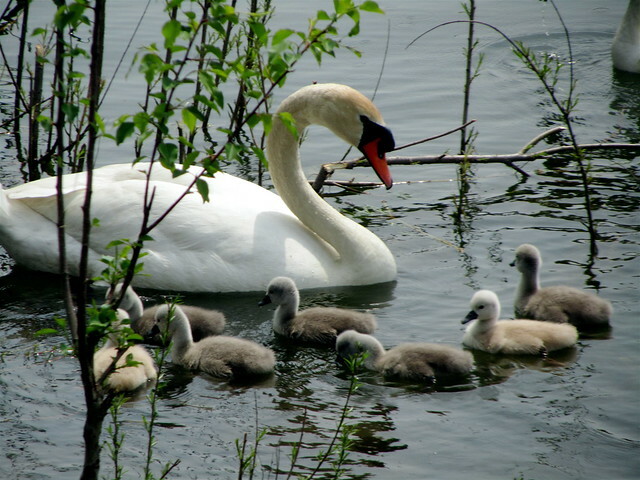 In an important new study forthcoming from The American Naturalist, biologists from the University of Oxford tracked a colony of Mute Swans for more than two decades to explore a longstanding evolutionary question: Does the number of eggs laid by a female bird – “clutch size” – change in accordance with natural selection? In an article to be published in the scientific journal Biology Letters, two Dutch experts claim to have discovered a bird species with three different types of male manifestations. The newly identified third type of male ruff (Philomachus pugnax) differs from others genetically as well as behaviorally. The discovery was made by bird expert Joop Jukema, who co-wrote the Biology Letters article with Theunis Piersma of the Rijksuniversiteit Groningen. The ruff, a type of sandpiper, has been nearly wiped out of the Netherlands as a resident bird due to an inability to compete with modern farming methods. In the spring and fall, however, the birds are found in the Netherlands in great numbers as they migrate between their winter homes in western Africa to their summer residences in Scandinavia and Siberia. Known as kemphanen in Dutch, the ruff was already known to have two types of male examples. The initial discovery was made fifty years ago by the Rijksuniversiteit Groningen. One male type was the “baseman”, who would defend a small territory against other basemen. The other type was the “satellite”, which defends no area but lives among and is tolerated by the basemen. The satellites are recognized by their white crown and collar. Basemen come in different color combinations. Female ruffs, who are uniformly brown in color with no distinguishing markings, choose their mating partners, and they may choose one or more in a season. Basemen and satellites are equally popular among females. The newly-discovered third male type is much smaller than basemen and satellites, but larger than females. It wears an inconspicuous brown coloring without any distinguishable crown or collar. And they only make up 1-2% of the population. Until their discovery, they were assumed to be females. The discoverers have named the type “faren”, an old Frisian word for patriarch, because they suspect that the birds may embody the original male of the species. The faren not only resemble females, but also in some ways behave like them. In fact, they show interest in the basemen and frequently mate with them. Only one time has one been observed mating with a female. The experts speculate that the faren mate with the females secretly. Since the testicles of the faren are at times larger than those of the basemen, researches speculate that the faren mate with the basemen and satellites in order to increase the basemen and satellites’ sperm count during the mating season. 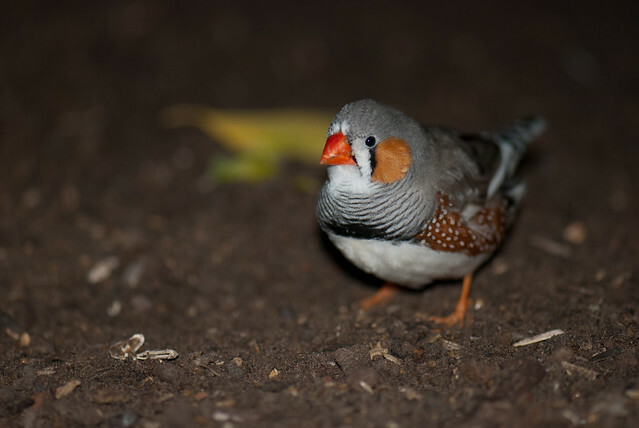 Researchers believe they have located a place in the brain where songbirds store the memories of their parents’ songs. A rare frigate bird flew 2,500 miles in 26 days on a search for food for her chick. The bird was tracked by scientists at Christmas Island National Park with a satellite tracking device.